I think it’s time I confess my not-so-secret obsession with my Costco Membership. Whether I’m planning a party, feeding a soccer team, hosting a church event, marrying one of my friends off, or in need of practically anything from clothing to cell phone plans to auto insurance, Costco is my number one go-to. 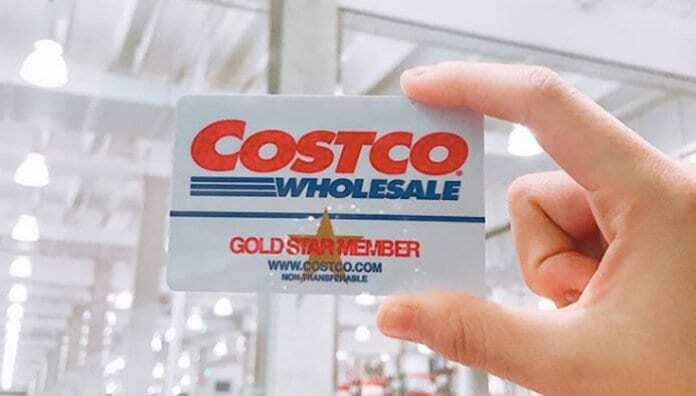 At just $60 annually, a Costco membership is easily the best investment you’ll make all year. Check out these 18 Ways to Get the Most out of Your Costco Membership. And join the club today! You’ll be glad you did! $60 isn’t an unbearable amount—especially when you consider just how much you’ll save in a year with a Costco membership. Still, what’s better than getting great deals at Costco? How about getting a great deal on your Costco membership?! If you’re a Frugal Fred like me, you know that Groupon and Living Social are two of the best ways to save money. In several markets, you can buy a Costco membership on Groupon or Living Social and earn yourself some added perks—like a $20 Cash Card at enrollment, and coupons for freebies. This goes without saying for the countless food you can sample throughout the store, but did you know you can try Costco before ever buying a Costco Membership? Costco Cash Cards can be used by anyone—members or not. If you’re not totally sold on the box store after reading this post, have a friend with a Costco membership buy you a cash card to give it a try! But it’s jam PACKED with Costco membership deals. The warehouse club store releases a bi-weekly “coupon book” containing all of the weeks’ best deals. It features everything from your favorite chips to electronics. Here’s the kicker: You don’t need the coupon book to get the deal. It’s purely for looks—to help you price shop and be in-the-know about markdowns and items that are buy one, get one free. With a Costco Membership, you’re already getting a great deal on just about anything that you buy. But there are a few tricks to the trade that can do one even better. Standard Costco pricing ends in either .49 or .99, while other items ending with 9 cents are specially priced by the manufacturer (.59, .69, .79). Best of all, a product priced with .00 or .88 is on closeout meaning, you’re getting the absolute best deal because the store is trying to clear out inventory. If you bought something at Costco last week, and this week it’s lower in price, bring back your receipt and Costco will refund you the difference. Most managers will allow you to do this within 30 days of your purchase. Kill two birds with one stone on Sunday after church. Feed the family for CHEAP, and get all of your grocery shopping out of the way. 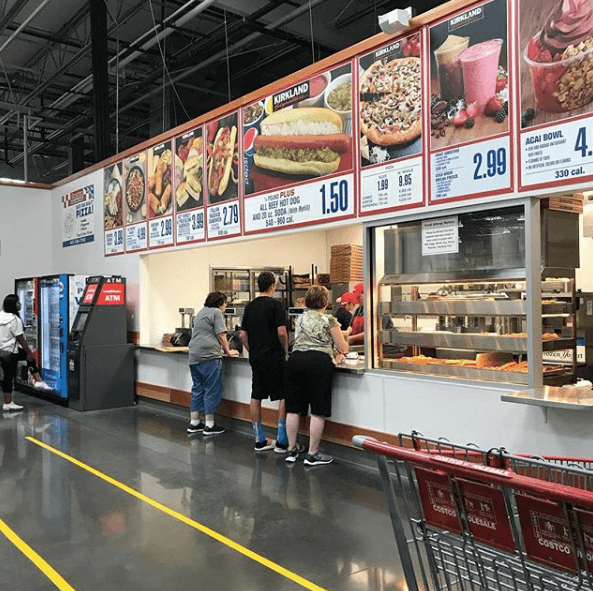 The Costco food court is your one-stop shop for pizza (sold whole and by the slice), wraps, salads, hot dogs and polish sausages, frozen yogurt and an ice cold Pepsi. A hot dog and a drink costs just $1.50! You can feed your entire family for less than $10. We already talked about how to read Costco signs (#4), but it’s not just about the numbers. Seasonal items will have an asterisk (*) on the sign, and Costco employees will be the first to tell you, don’t wait to buy these items. Kirkland Signature is Costco’s private label. Named after the company’s former headquarters in Kirkland, Washington, the house products are often distributed by the same manufacturer as the name brand product. Costco CEO, W. Craig Jelinek, says the chain strives to make Kirkland products “equal to or better than” brand name products. Costco is a massive warehouse box store. But like anything that’s confined to a certain amount of space, the stores can only carry and display so many products. Their website however, is like an untapped GOLD MINE. Buy everything from $25,000 engagement rings to coffins and caskets from the convenience of your own home! Costco sells cars, vacations, auto insurance, and SO MUCH MORE. 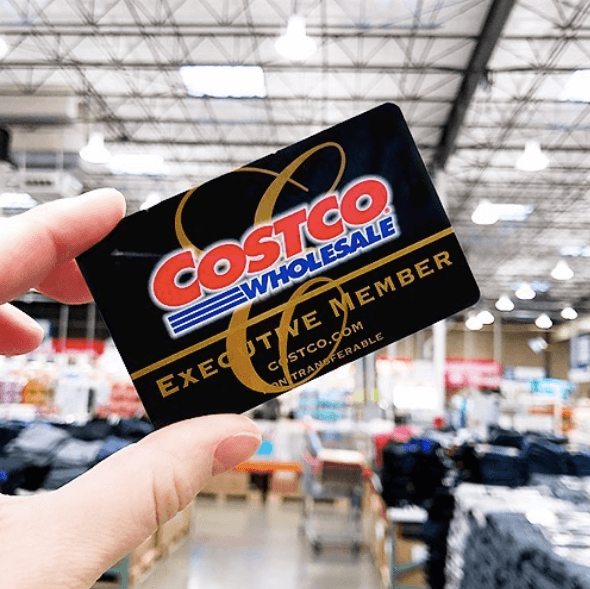 Whether you’re looking for name brand Levi jeans, or in need of some seriously GLORIOUS new yoga pants, your Costco membership has got you covered. Some of my favorite clothing items and shoes over the years have been picked up at Costco, and you would not believe how many people are BLOWN AWAY when they find out where my super trendy top is from. Just last month, I bought a pair of yoga pants made from material that rivals those from Lululemon. Y’all, they were just $12.79. I loved them so much, I went back and bought two more pairs. Costco has one of the most generous return policies of all time. You can return pretty much anything you’ve purchased at any time for a full refund, with the exception of electronics and appliances which have a 90-day return policy. If that treadmill you bought three months ago hasn’t seen the use you were hoping it would, or the Instspot someone bought for your wedding just isn’t what you need in your life, bring it back to Costco at any time for a full refund—no questions asked. You can even return your membership for a full refund if you are not fully satisfied with the warehouse club. Check out their full return policy here. 12. They have a CLEARANCE section! 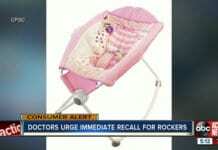 It’s located in a different place in every store, but every Costco has a returns section—items that are marked down because they’ve been returned, but are still good to be used! Your local Costco will have an entire section for discounted Gift Cards, movie tickets and access passes. Several restaurants sell two $50 gift cards, or four $25 gift cards for just $74.99. That’s ACTUALLY the definition of a STEAL. You can also stock up on movie tickets, amusement park passes, and several other local deals you absolutely won’t find anywhere else. Costco refills most printer’s ink cartridges for just $7.49. Need I say more? Most Costcos have their own gas station within the parking lot of the store, and their gas is HANDS DOWN, the cheapest gas around. I typically save five to ten cents per gallon, simply by having a Costco Membership. Need a rental car? Planning a honeymoon? Wanna get away? Costco’s got you covered! 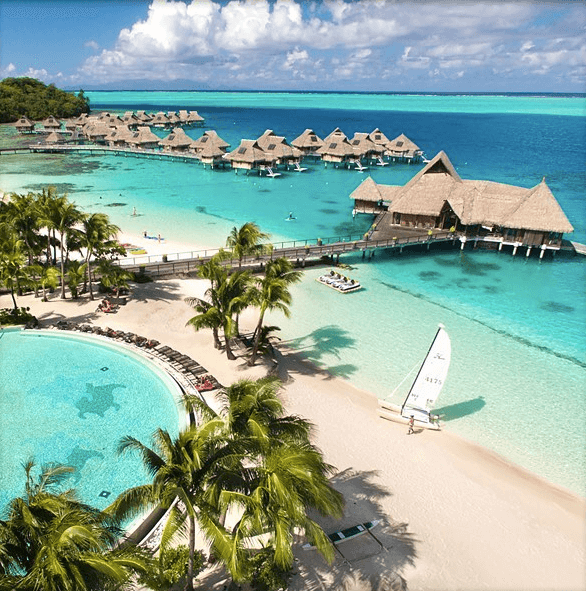 Search thousands of vacation packages, hotel rates, rental cars, cruises, all-inclusive resorts, and even African Safaris, all with the same Costco Membership pricing you find in the store. As a photographer, there is no where I’ve ever found to have better quality photo prints than Costco. Most orders are done in less than an hour, and the printing quality is unmatched, as are the prices. Save time by ordering your prints online then picking them up in store. The website is also where you can find canvas prints, posters, banners, products with your photos printed on them, and SO MUCH MORE. As a mama who LIVES for capturing memories and cherishing sweet moments with my littles, the printing center at Costco alone is worth the price of a membership. Frugal Fred speaking here, Costco is extremely affordable for what you get. But any seasoned shopper knows that even the best deals can add up fast. I find that most of what I buy with my Costco membership averages about $10 per item. When you look at what you’re buying, it’s a steal. But when multiplied, that average can add up quick, and a simple trip to Costco can wind up costing you a couple hundred dollars. My advice is this: plan before you go. Look at the current coupon book, check your pantry and garage storage, and make sure your bulk-buying is Dave Ramsey approved. Costco isn’t like your average grocery store in that when you purchase products in bulk, most everything you buy will last much longer, because it’s more product than what you would be able to buy at a Walmart or Harris Teeter. That being said, don’t overwhelm yourself with costs. Plan ahead and know what you’re able to spend before getting to Costco. And always save room for a Churro at the end.